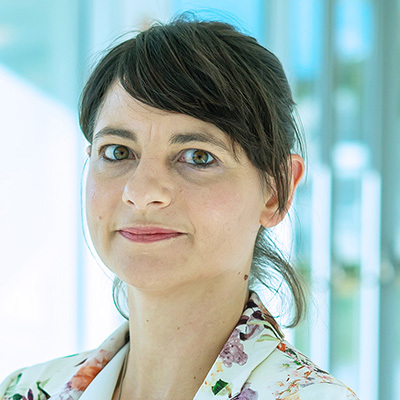 Jana Nieder aims to foster talent and excellence in photonics research at INL and to built and consolidate INL partnerships with universities and private partners to advance photonics research and innovation with impact to the benefit of society. Her research focus is on using and developing photonic techniques to advance our understanding of life at the nanoscale and to advance the development of functional nanomaterials with applications in quantum technologies, (bio-) sensing and nano medicine. Jana B. Nieder joined INL late 2014 after working in the field of super resolution microscopy at IGC – Instituto Gulbenkian de Ciência (Portugal), and ultrafast single molecule spectroscopy at ICFO – The Institute of Photonic Sciences (Spain) in the group of Niek van Hulst, where she was involved in the development and application of pulse shaping experiments suited to probe quantum coherent energy transfer processes in light harvesting systems. She received her PhD degree from the Freie Universität Berlin (Germany) where her work contributed to a better understanding of pigment-protein and plasmonic interaction effects using low temperature single molecule spectroscopy techniques. Hildner R., Brinks D., Nieder JB, Cogdell RJ, van Hulst, NF. Accanto N., Nieder JB, Piatkowski L, Marta Castro-Lopez, Francesco Pastorelli, Daan Brinks, Niek F. van Hulst. Phase control of femtosecond pulses on the nanoscale using second harmonic nanoparticles. Light: Science & Applications, 3, e143, 2014. Brinks D., Hildner R., van Dijk E. M.H.P., Stefani, FD, Nieder JB, Hernando J and van Hulst, NF. Ultrafast dynamics in single molecules. Chemical Society Reviews, 43, 2476-249, 2014. Nieder JB, Hussels M., Bittl R., Brecht M.B. Effect of TMAO and Betaine on the Energy Landscape of Photosystem. Biochimica Biophysica Acta – Bioenergetics, 1837(6):849-856, 2014. Nieder, JB; Bittl, R; Brecht, M.
Fluorescence studies into the effect of plasmonic interactions on protein function. Angewandte Chemie International Edition, 49, 52, 10217-10220, 2010.